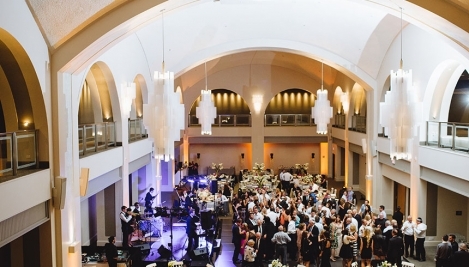 Arcadian Court provides a customizable space like no other in the city of Toronto. 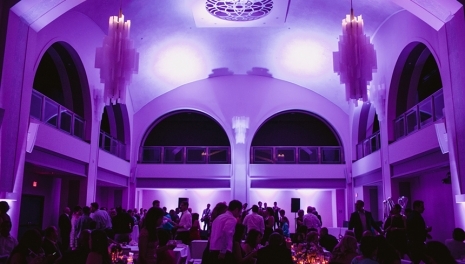 Originally opened in 1929, the Arcadian Court has a deep and rich history as a Toronto institution. 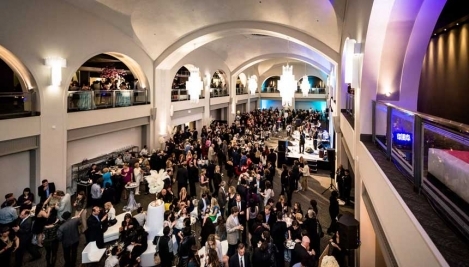 It has hosted many monumental events including Toronto’s first auto show; the Toronto Symphony Orchestra’s first radio broadcasts; performances by entertainment legends such as Liberace; and Sotheby’s first auction outside of Britain, to name just a few. The renovations carried out by architecture firm DeSignum Design have stripped back layers of walls and flooring that have been added over the years, reclaiming approximately five feet around the perimeter, and opened up eight of the 16 grand arches in the mezzanine that were closed off in past renovations and restored the squared off arches along with adding four feet to the remaining eight. The Court is now a revitalized 8086 square foot gem, featuring improved acoustics, beautiful chandeliers that are a deconstructed take on the original Lalique crystal chandeliers and an opened-up mezzanine spans offering a 360° view. 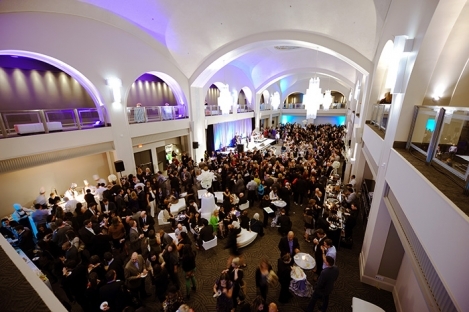 It was named the Best Ballroom in Canada in BizBash's 2013 Event Style Awards! MBE helped me produce a flawless event. Their service was nothing short of excellent. Their team of highly trained staff created a magical evening that transformed our estate property into a venue for 700 people.